Did you know that almost a third of all digital spend is wasted on ineffective channels and strategies? In an industry fought with cut-throat competition, your digital marketing strategy becomes your strongest tool in generating results. When looking at time spent on different media, there has been a clear divergence in the last few years. As you can imagine, people now spend less time-consuming media on TV, radio, and print while spending more online. In fact, the “break-even” point happened way back in 2012 – going forward, digital supplanted TV as the #1 media channel in the U.S. Looking at 2018, an average American spends six hours per day consuming media on either their cell phone or computer. Compared to now less than four hours watching TV. Look at it this way, as you head into bed in the evening, think about how many hours that day you spent watching TV, listening to the radio station, and reading magazines. Now think about the amount of time you spent on your computer or cell phone. Why is this important? It’s important because your advertising should be where your consumers are. Yes, you can say “I know it’s 2019 – we all spend time on our phones and computers, what’s your point?” Well, my point is this: while digital is now by far the most consumed media, advertisers in the U.S. are only spending 25% of their spend on digital. 39% is spent on TV, 9% on radio, 10% on newspapers and 9% on magazines. Now, let’s talk purely digital. A consumer that’s in-market for a car consumes even more digital media than the typical consumer with 75% of their time spent online (source: Polk). At the same time, dealership media budgets are allocated only 34% towards digital. This creates a huge arbitrage opportunity where you can still get a tremendous bang for your buck from digital media. In fact, a recent study mapping out the consumer touch points showed that digital influences 80% of the touch points in the process – so the arbitrate opportunity might be even greater than the media spend figures show. SEO is a very powerful tool that gets you long-term exposure and visibility in organic search results (i.e. you don’t pay per click for them). However, it’s a long-term strategy and requires building content, links, and fixing website issues over months and years. The ROI isn’t instant, but the results are long-lasting. In most cases, even if you stop SEO, your content will keep appearing in Google for years and decades to come. In fact, the only thing that would cause them to stop showing up is if you violate Google’s guidelines and get penalized, or if your competitors do so much SEO that it bumps you off the first pages. PPC can be seen as the ying to the SEO yang. Where SEO is slow moving with long-term value, PPC is instant but the value is also all short term. What I mean by that is you can start a PPC campaign today and get instant traffic, leads, and sales to your dealership. However, you are paying for every one of those clicks. A poorly set up PPC campaign and you can lose tens of thousands in a blink of the eye. Stop PPC and all the clicks and traffic stops. However, PPC is still one of the most powerful tools in the digital marketing toolbox. PPC allows you to precision target your exact customers with both geographic and demographic filters. Then, you target the exact keywords they are searching, letting you perfectly capture purchase intent. For example, if someone is searching “Porsche Macan lease deals this month,” there is a pretty big chance that person will be leasing a Porsche Macan very soon! With properly configured PPC campaigns you can target people in various parts in the decision process and tailor specific ads for each one of those steps. You then of course track everything, analyze, and optimized! 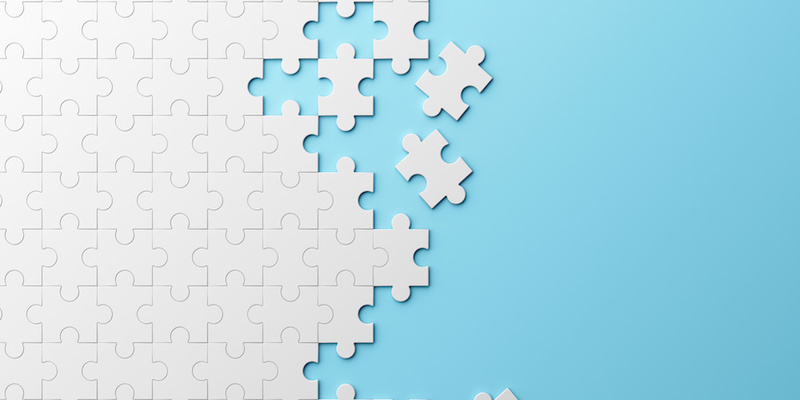 Social media is the last piece of the digital puzzle. Social media allows your dealership to have a human face (show off your employees, your customers, etc). It also allows you to engage with your customers and show the outstanding service that you provide, which will hopefully attract others to come to your dealership. Although the value of social media isn’t necessarily direct – it can help increase awareness of your dealership, show off your customer service, and help you manage relationships with your clients online. Too many dealerships are still spending a disproportionate amount on off-line advertising, chasing an audience that’s more and more glued to the digital world. If your dealership is still lagging behind, it’s not too late to embrace digital and capture the arbitrate opportunity that still exists in the digital media space. Don’t miss Alex Melen’s upcoming session at DD26 Orlando where he will cover the best digital strategies that combine SEO and PPC to generate long-lasting results. Alex will share case studies that reveal the measures used by various dealerships that have led to their success, along with never-before-published Google tips to generate real results for your dealership. Recession Periods vs. Expansion Periods. Copyright © 2019 Alex Melen. All right reserved.